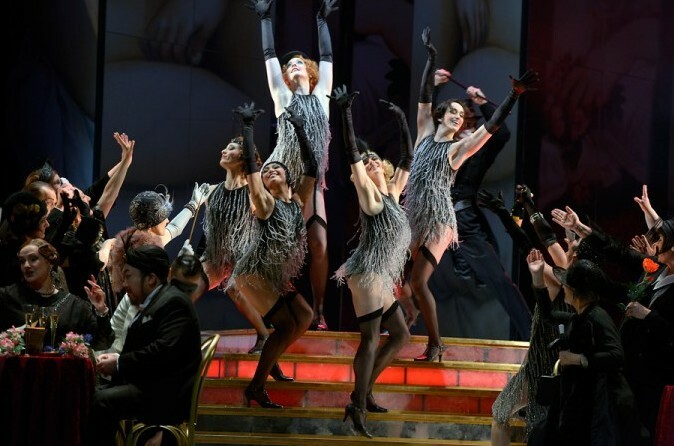 “La Rondine”: Does The Operetta Revolution In Berlin Continue With Puccini? Are we entering the second phase of the operetta revolution in Berlin? After the Komische Oper re-discovered the genre and presented lesser known jazz titles to great critical and popular acclaim, the competing Deutsche Oper Berlin also tries to cash in on the current operetta boom. Obviously, a straight forward copying of Barrie Kosky’s Erfolgsrezept would not work in the bigger and more “stately” house in Bismarckstraße. So, instead of Abraham and Kalman and Oscar Strauss, the DOB offers Puccini’s La Rondine. Of course you can say that The Swallow is not a “real” operetta, even though it was originally commissioned, in 1913, by the director of Vienna’s famous operetta house, the Carltheater. And, yes, it is based on a libretto by the well-known operetta authors Alfred Maria Willner and Heinz Reichert. The demi-monde story of the noble prostitute Magda and her young suitor, plus the slightly ludicrous buffo couple, all represent typical Viennese operetta traditions. But Puccini did not set their story to typical Viennese operetta music. Instead, he lavished some of his most beautiful arias on them. Among them the famous “Sogno di Doretta,” made popular by the film A Room with a View and sung there by Kiri te Kanawa. 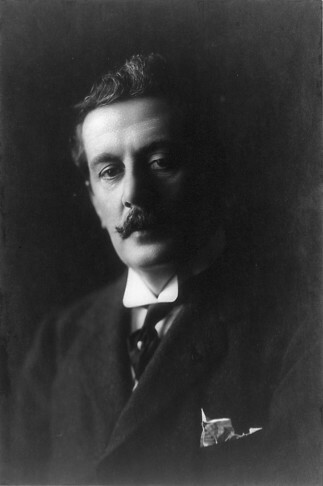 For the low comedy passages of the show, Puccini did not even try to compose the necessary dance tunes that were – and are – the backbone of any operetta. 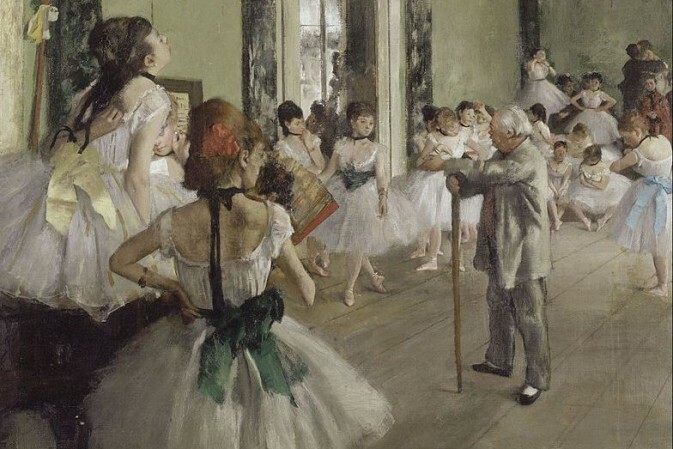 So the scenes with the servants never really take off, because they do not have the emotional depth of a classic Puccini love drama, nor to they simply tap dance their cares away. Still, a rediscovery of the original “operetta” elements of “La Rondine” would be a very worthwhile enterprise. Instead, it is more likely that they will attempt to give La Rondine the big lush opera treatment, without a soprano of the te Kanawa caliber; and in typical German opera sets by Johannes Leiacker. 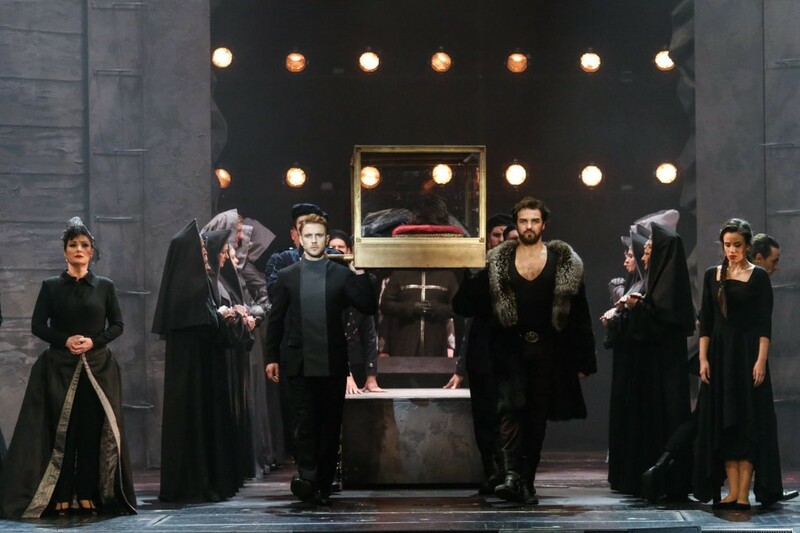 Puccini fans at the Deutsche Oper will probably be thankful for this, it is the second Puccini premiere in Berlin within two weeks. (The other was Gianni Schicchi at the Komische Oper.) Operetta fans will simply ignore the production and continue enjoying Ball im Savoy and Eine Frau, die weiß, was sie will as an alternative, playing to packed houses in the East. If you want a German language Die Schwalbe that comes at least close to a certain type of Viennese operetta ideal, then try the old recoding with Ljuba Welitsch as a convincing (and suitably slutty) Magda – you could think, again and again, that you are listening to a lost Léhar score or the alternative ending to act 2 of Land des Lächelens. Which is probably what both Léhar and Puccini had in mind. For more information on La Rondine at the Deutsche Oper Berlin, click here.